Last night my husband and I went to see the movie based on Fred Roger’s ministry, Won’t You Be My Neighbor. In the 1980s, his show spent theme weeks on a variety of difficult topics that concern children. One week, the topic was death. Mr. Rogers helped children identify a dead fish in his aquarium, explained what death meant, and solemnly buried the fish. Mary Davila and I share with Mr. Rogers a desire to tell children the truth in a way that is honest, direct, and gentle. Early in our ministry, I traveled to visit Mary to observe her leading a conversation with young children about death. Mary and I kept talking about how to engage children in conversations about the concrete and yet mysterious aspects of death, and life after death. 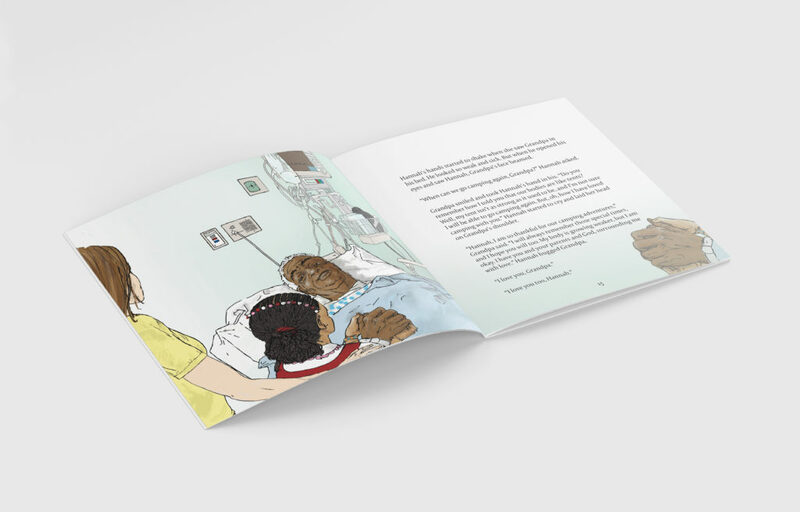 A few years later, Mary approached me with the idea to create a resource for children, parents, pastors, and hospitals, to help others have these conversations about death and heaven. This resource ended up being the children’s book, Grandpa’s Tent. We created the character of Hannah, who has a deep and loving relationship with her grandfather. Our guiding image was 2nd Corinthians: 5-13, in which Paul describes the body as a tent. A tent is a temporarily dwelling, meant to provide shelter for a period of time, but a tent does not make for a permanent home. 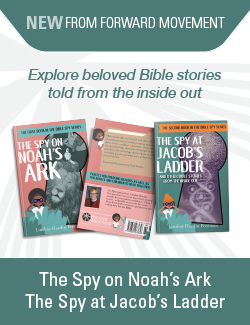 Mostly, we wanted to answer kids’ questions about all sorts of things: aging, nursing homes, what happens to the body at the time of death, etc.. And, we sought to to offer hope and comfort about what awaits us in heaven. We wanted to do all of this from an explicitly main-line point of view. In the book, we see the funeral, the casket, the burial–all images that will be familiar to liturgical churches. The publisher, Forward Movement, identified an illustrator, the late Paul Shaffer, also a priest. He brought our ideas to life through his beautiful illustrations. 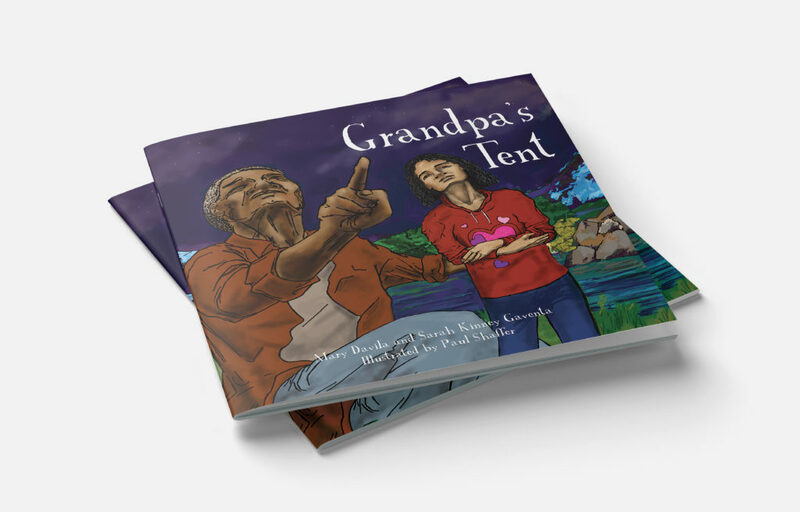 We are hopeful Grandpa’s Tent will be a helpful resource to parents, pastors, and chaplains as they talk with children about death. We also hope the book will be a comfort to children who are grieving or worrying about death.